But how do you know whether your customers are truly loyal? Whose role really is it to manage customer loyalty? 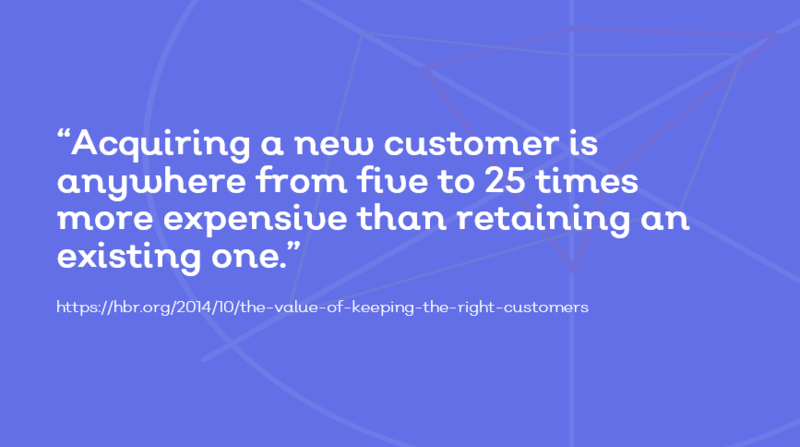 And how do you know what actually helps you retain your customers year-after-year? Below, Mark Eydman, MD or Six Pillars Consulting, shares his insights. However, Mark Eydman, Founder and Managing Director of Six Pillars Consulting says loyalty is about much more than satisfaction. Customers tend to feel satisfied, or dissatisfied, as a result of a specific interaction with an organisation. For example, a well laid out supermarket, well lit, clean and staffed by friendly assistants can drive that feeling. Loyalty is so much more. While it starts by an outstanding interaction, it is more likely to build over time, with a deepening relationship and multiple “touch points”. A loyal customer believes that their relationship with your organisation is in their best interests! Image: May your followers, hostages, grumblers, calculated customers. ISO 9001:2015 doesn't specify how to keep your customers loyal, so here are three steps to measure and improve customer loyalty. Is a focus on enhancing customer satisfaction explicitly visible throughout the business? Does top management provide consistent leadership and commitment in regard to customer satisfaction? Does your quality policy make an explicit commitment to customer satisfaction? 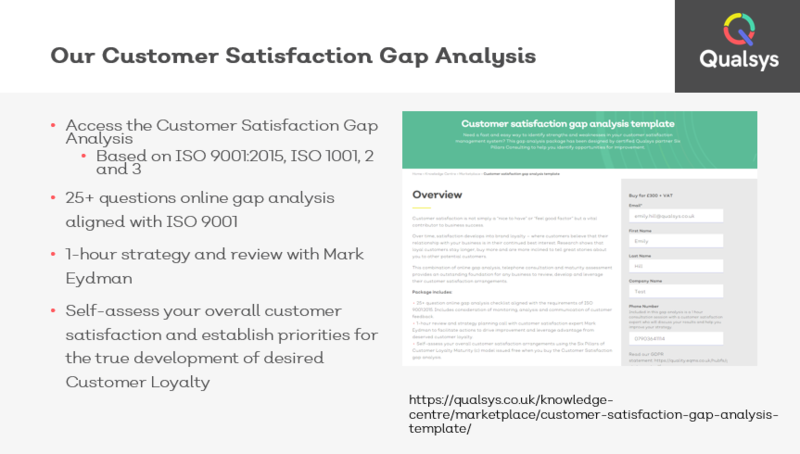 The Six Pillars of Customer Loyalty Maturity® is a gap analysis tool designed to help organisations understand the maturity of their customer loyalty management system. It draws structure from the requirements of ISO 9001:2015 and ISO 1001, 2, 3 and 4 but moves beyond these requirements for organisations truly wishing to use customer loyalty to drive business success. You need to understand how your customers perceive your products and services. Does what your business believes to be your competitive advantage align with what really keeps your customers loyal? Are you missing any opportunities? After you've completed your gap analysis, you then need to back this up with real data. Net Promoter Score (NPS) remains to be the most powerful tool for capturing feedback throughout your customer's journey. Working as an extension of your business, Mark actually provides a service where he collects NPS data and feedback on your behalf. Contact Mark to request more information here. Now you have internal and external data, you have a strong foundation for your customer loyalty strategy. Customer loyalty is all about the business culture and managing change. It's about everyone playing their role to make your customers happy. Download the Culture of Quality toolkit for a library of tools and resources.